Online registration is officially open for the 2014 NRA National Matches. Each summer, at the NRA National Rifle & Pistol Championships, the nation’s finest civilian and military marksmen and women square off for weeks of rifle and handgun competition. From pistol, to smallbore rifle, high power rifle, and long range high power rifle (including F-Class), the national matches have something for just about every serious shooter. Head on over to the Camp Perry Sign-up Page and get started on this year’s application. The NRA is seeking experienced persons to pull targets during the 2014 National Fullbore Championships, August 4 – 10, 2014, at Camp Perry, Ohio. Accepted applicants will receive a $75 per day pay rate and free housing. Candidates must have 2+ years of target pulling of high-power scoring experience to apply. Interested parties should apply before the May 1, 2014 deadline using the form linked below. For more information, email comphelp @ nrahq.org. CLICK HERE for Target Puller Job Application (PDF). 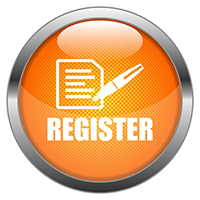 Share the post "Online Registration Opens for 2014 National Championships"